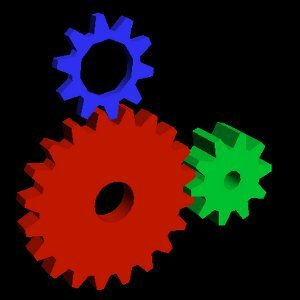 The "VEGA" state tracker to provide OpenVG API support to Gallium3D graphics drivers inside Mesa has been removed. Going back more than a half-decade has been the OpenVG state tracker for Gallium3D but now it's been eliminated with not really being used and suffering from code rot. Jose Fonseca of VMware today decided to remove this "vega" state tracker from Mesa Git for Mesa 10.6-devel. Removing this state tracker drops Mesa's line count by over 22,000 lines of code. Fonseca noted in the Git commit, "OpenVG API seems to have dwindled away. The code would still be interesting if we wanted to implement NV_path_rendering but given the trend of the next gen graphics APIs, it seems unlikely that this becomes ARB or core." In doing some other early spring cleaning today too, Jose knocked out the Windows GDI driver. "This classic driver is so far behind Gallium softpipe/llvmpipe based one, that's hard to imagine ever being useful." The EGL state tracker was also nuked but that's been succeeded by Mesa's other EGL windowing system support code.